While the focus of the live music nation is cast in the general direction of Indio, CA for the next couple of weeks and this year’s Coachella Festival, we’re keeping an equally watchful eye on RangerDave’s Twitter and Instagram feeds as the festival’s mascot leaves a trail of clues as to who will be appearing this year in Golden Gate Park. 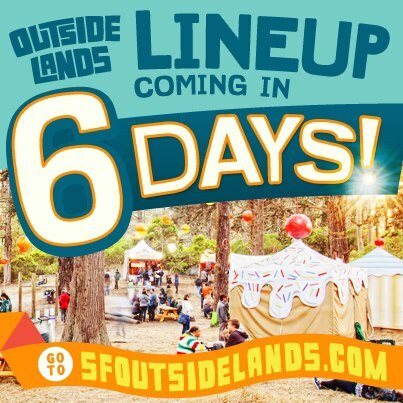 Outside Lands will release their full lineup on April 16th and Grizzly Bear, Chromatics & The Tallest Man On Earth are amongst the clues + dead giveaways released by Ranger Dave thus far. Stay tuned to the ticket page for general on-sale dates following the lineup announcement next week. Can’t wait to see what’s in store for August in SF!